i mentioned switching in the stacked deck because this eiiect is so strong that i recommend using it as a closer. Also, switching in the stack allows you to have the deck shuffled by spectators during previous effects, further disguising the modus operandi. 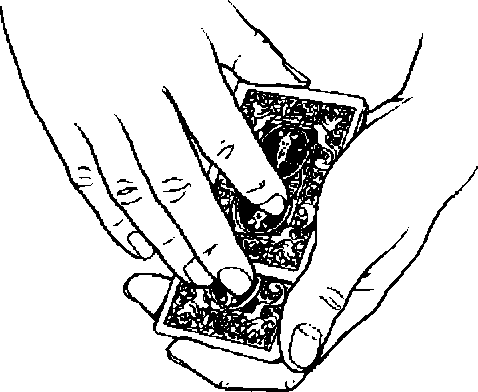 At the same time, however, the audience sees the cards shuffled so many times and sees them spread out in an obviously mixed condition so many times that, even if you just took out the stacked deck and did the routine as a stand-alone item, no one would ever suspect a setup.